Flowers might be considered as the simplest gift item, but the truth it holds is happiness lies in simplicity. You can choose these gorgeous, simple and beautiful flowers to send Noida this Mother’s Day in just a single click and let your Mom know how much you love her. Mother’s Day 2019 has finally arrived, so send your mom, something special that will captivate her attention and make her happier and that is all you want right? You can go with fresh blooms from one of India's best florists MyFlowerTree. The gorgeous, stunning and bright flowers collection here is available for special Mother’s Day arrangement. 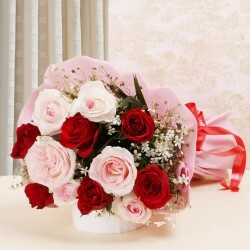 You can send these flowers to Noida to surprise your mom, grandmother or your mother-in-law. We bring such special treasure of flowers which revitalize entire environment and beautify your space. You can order such beautiful flowers for your dear mom, grand-mother and mother-in-law. Our Mother’s Day collection includes splendid pink, Lovely roses bouquet, Hot pink roses, Humble Bunch, sunny roses, sunshine lilies, 1000 roses, orange happy gerberas, stunning hot lilies, A big hug of roses, happy bunch, 24 pastel roses, Pink lily posy, For the mama, Holy beauties, buds of positivity, royal blue flowers, red meets pink, white surprise, natural beauty, stunning floral arrangement, pink and white fusion, etc. The entire collection of fabulous flowers is available to make your mom happier, so send her Mother’s Day Flowers to Noida along with a beautiful wish to make her day. 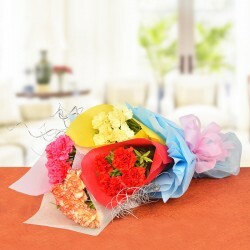 MFT brings dazzling Mother’s Day Special Collection of Flowers to surprise your dear mom. The special flowers are fragranced, brighter, blooming and refreshing. 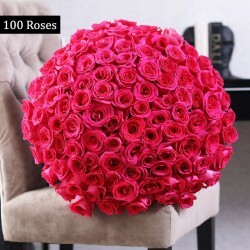 You can place your order of this stunning flower and get its timely delivery whenever you want. We offer customized mother’s day flowers delivery Noida that includes same day delivery for flowers, midnight delivery, early morning delivery and express delivery. You can choose any according to your comfort and surprise your dear mom. If you are planning not to gift just flowers, then we bring plentiful range of other gifts that you can send along with flowers to your mom. The personalized gifts, cakes, chocolates everything makes a beautiful combo along with flowers. You can explore such gifts and flowers combo at our available portal and place your order now. If you want to add a heartfelt message along with this then you can also send a message for your mom. So do not delay! Grab the favorite bloom from India’s top florist now.